Since its foundation in 808 on the orders of Charlemagne, Hamburg has been a city that constantly changed. Ravaged by invaders many times and last destroyed in WWII, the Hanseatic City offers a mix of different architectural styles that were influenced by its status as one of the main ports of Northern Europe. Many visitors will probably fall in love with Hamburg at second sight – but the city is known to be a repeat destination for many tourists! And with cheap flights to Hamburg on low-cost carriers it is also very affordable. In 1189, Hamburg was awarded its status as a Free City, which means that the city had more autonomy than the rest of Germany. The population has historically been forward-thinking and open to the world. Therefore, it comes as no surprise that they first adopted Lutheranism during Reformation and then allowed full religious freedom, providing a safe haven to religious minorities. However, Hamburg later lost its sovereignty under the Nazi regime and was heavily bombed. Like most of the German cities, it was quickly rebuilt and lost much of its charm, as the focus of the rebuilding effort was on building quickly, not beautifully. Yet, many of the former buildings were preserved. One of the most stunning ones is the Town Hall with its Neo-Renaissance style. Spanning an entire block, this building is an absolute must-see while in Hamburg. Just close-by is the famed 19th century Speicherstadt in the city port. This is an entire district, which was built as a free zone to transfer well without paying customs. With its Neo-Gothic style and channels, it resembles Venice. And, if you go there, you should drop in at one of Hamburg's most famous museums – the Miniatur Wunderland (model wonderland) with its many model railways. Of course, leaving out the Hamburg Fish Market or the Reeperbahn would be a sin, as they are the two places Hamburg is especially famous for. The Fish Market was first held in 1703 and is, thus, the city's oldest open-air market, where products of literally any type are sold. Though, do get up early, because it usually is held on early Sunday mornings, from 5 am to 9.30am (starting at 7 am in winter time). The Reeperbahn, on the other hand, is one of the world's most famous red-light districts. Also called "the most sinful mile", it is one of the two centers of Hamburg's nightlife and also its red-light district. Due to its mention in several movies, in literature, and in songs, this street has a legendary status. It's easy to get around Hamburg's inner city by foot. However, there also exists an extensive bus network and taxi service almost everywhere. Spring and summer are the best times to travel to Hamburg. More particularly, late April to early June are probably nicest, as the trees and flowers in the city parks are in full bloom! There are many cheap flight tickets to Hamburg which are available at best price. You just have to compare flight tickets to Hamburg and book your cheapest flight tickets to Hamburg which fits well within your budget. 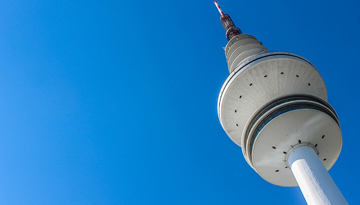 Flights to Hamburg with Lufthansa Airlines in Economy Light fares from £169 return including taxes. 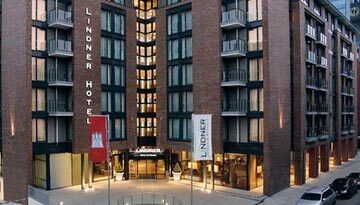 Lindner Hotel Am Michel offers 4 star 1 night room stay at £82 & save up to 30%. 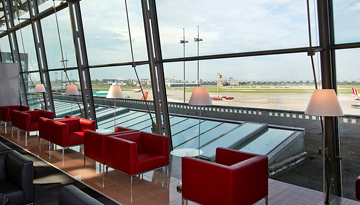 Fly from Manchester - Hamburg & Stay for 7 nights with 3 star accommodation. Room Only.